"I hope they keep up the good results and that United have a good future," the Portugal international said. "It's different times, a different coach and a different culture I think. Different players, a different mentality, and you can see the attitude is not the same. "Before [when I was at the club], sometimes we didn't play good football but at the end, we showed that we could do things that other teams couldn't. The last 15 minutes [of games in those days] was just Man Utd. It was attack, attack, attack. I remember the fans singing that! "But they still have great players they still have time to work on it. They have a great manager so I hope in the future they will get back to their best." Nani captained Sporting Lisbon during Thursday's Europa League stalemate at Arsenal in a match that was overshadowed by a broken ankle suffered by his former United team-mate Danny Welbeck. 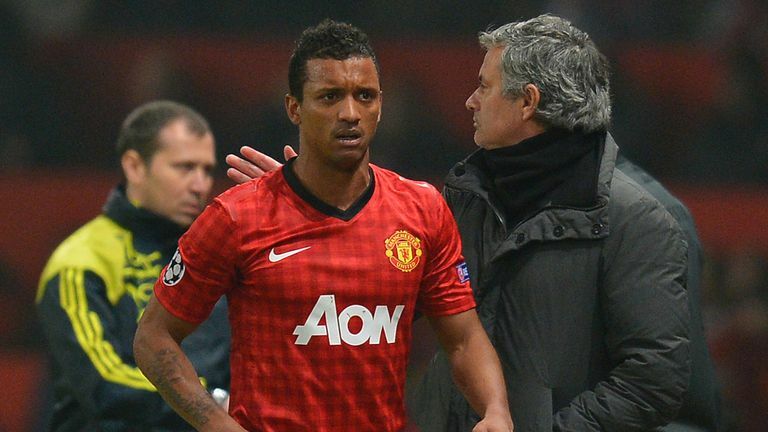 "It was a very sad moment," Nani said of the injury sustained by his former team-mate. Pundits: How to beat Man City? Are Utd better with Fellaini? "I feel very sorry for him. He is a great person, a great lad and a good friend. When that kind of moment happens in the game you feel very sad. "I don't know what to say. I just want him to recover well and I hope it is nothing serious but you can see something happened there, so I wish him all the best and a very fast recovery."